Post and Clip Earrings in 18ct Gold are a designers concept for the perfect everyday through evening wear. 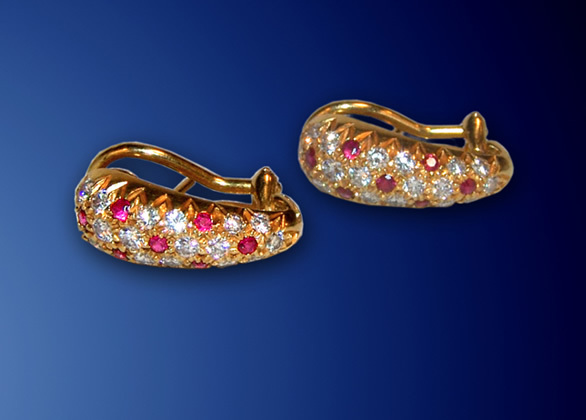 In 18ct Gold set with fine red rubies interspersed with diamonds, they have that sheik look that we call "Blue Jean Jewellery". They unfailingly go with everything.